As I shared in a previous post, my kids and I recently visited Walt Disney World (WDW) and had a magical experience. 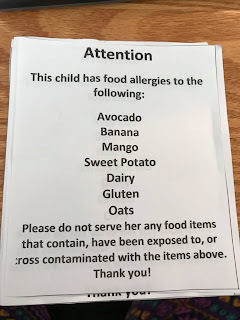 My youngest child (4 years old) has severe and rare food allergies due to having Food Protein-Induced Enterocolitis Syndrome (FPIES) and was able to feel completely normal at nearly every meal we ate. While Walt Disney World itself does it's best to be accommodating of special diets, I strongly believe that it's a partnership with the family and that there are things you can do that help to make it a real success. 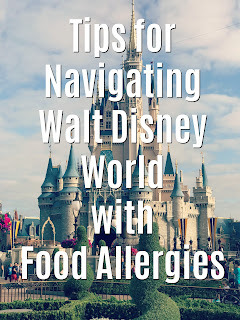 Below are my top five tips for successfully navigating Walt Disney World with food allergies. Research. 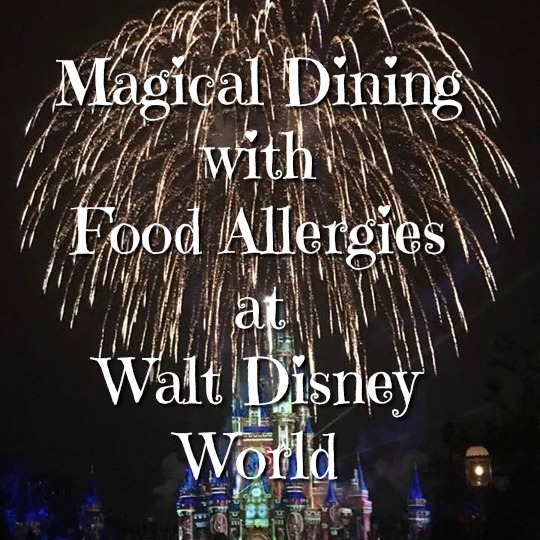 I will say that if this is your first time visiting WDW with food allergies or diet restrictions, do your research ahead of making dining plans and/or reservations. The absolute best resource is on Facebook, in the form of a Disney Food Allergy group. 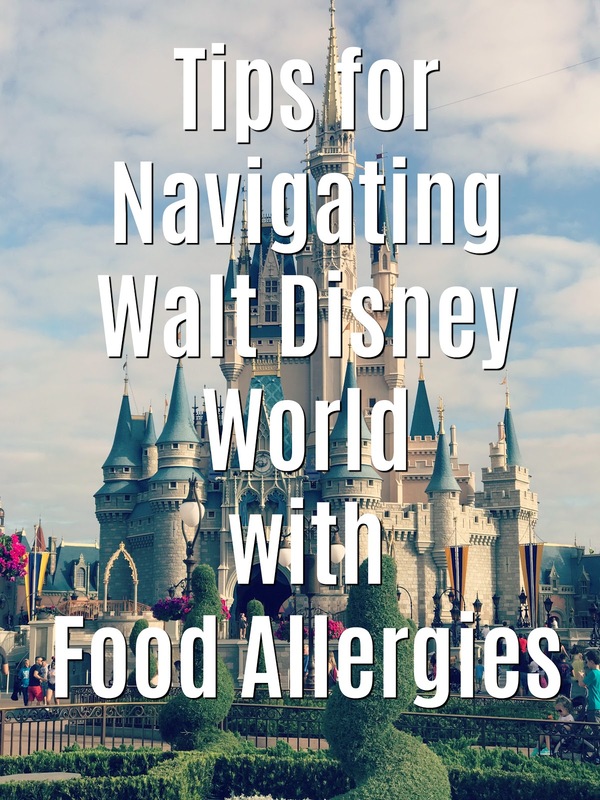 This group is WELL versed on all things food and allergy related at Disney (especially Walt Disney World) and the Orlando area parks/resorts. Pre-trip communication. After booking your dining reservations and a minimum of 14 days prior to your arrival, you can e-mail Special.Diets@DisneyWorld.com with your dietary restrictions/food allergy information. This will allow them to notify all of the chefs where you have reservations. 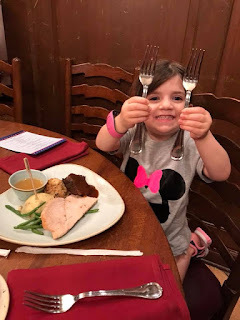 I fully admit, that even after joining the Disney Food Allergy Facebook group and reading all of the positive stories of kids with food allergies vacationing at WDW, I was still extremely skeptical that my daughter would in fact be able to feel "normal" and enjoy food safely served alongside for siblings all week long. You see, my daughter has NEVER enjoyed a full meal (including dessert) at any restaurant in her 4+ years of life. So, in my mind I was thinking "How is Disney going to be able to accomplish this when no one else could?" 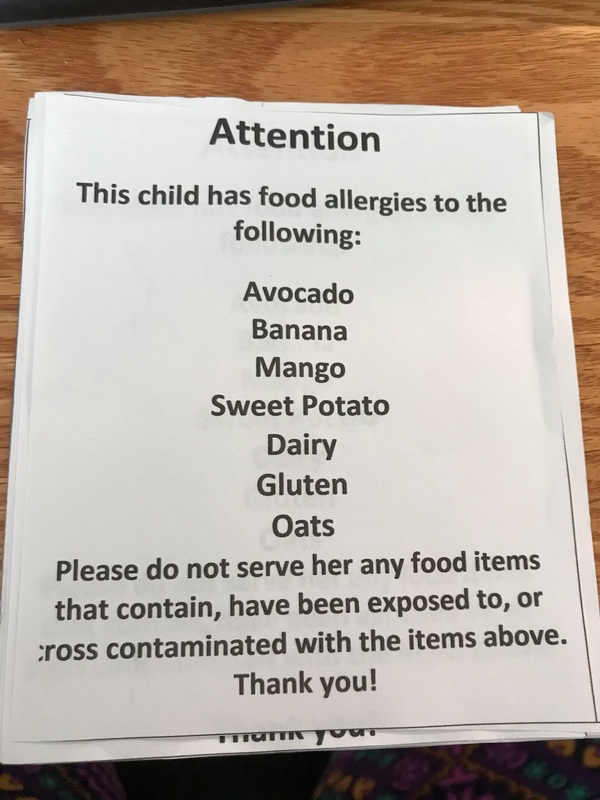 If you've been following my blog, you are likely aware that my youngest child is diagnosed with FPIES which involves several severe food allergies. Last year, I was first introduced to the Gluten Free and Allergy Friendly Expo as part of their media team and I'm happy to announce I'll be returning again this year. Interested in attending? 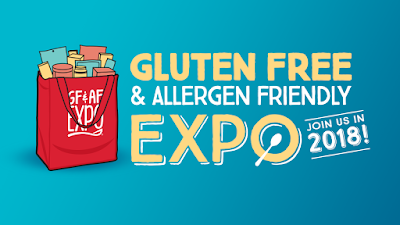 The expo has tickets available via this link. Life is a journey and it's led me back to you! If you've been a follower of my blog for the last few years you'll have noticed that I basically disappeared from writing over the last 362 days. Aside from a random post or two, it's been quieter than a room with a sleeping newborn baby. Why? Life. That's the thing about life, it happens. Sometimes we have warning and sometimes we don't. Even when things happen that we know are going to happen, we can be completely caught off-guard by the waterfall affect that happens within our lives follow such events. In this case, we're talking about divorce. The long, narrow, often overwhelming road to divorce. I could write dozens of posts about this (actually I have but those are private for now), but let's just say it's been a JOURNEY. However, what matters to me most to share at this point is where I am today. And today, I'm here, typing this post, ready to come back full-force to the blogging world. I feel: Stronger. Confident. Wiser, Smarter. Weathered. So, what does this mean for the future of this blog? Well, it's going to be featuring more about life as a single mom. That'll include posts about budgeting, cooking, etc. plus a few about emotionally navigating this space with three little ones. I'll also be working with many local and country-wide events to bring you photos and videos from such experiences. I'm truly excited about coming back and can't wait to share with you loads of information both fun and helpful. Thanks for sticking around with me! While I work to get new content up and running you can follow along on our journey on both Instagram and Facebook!